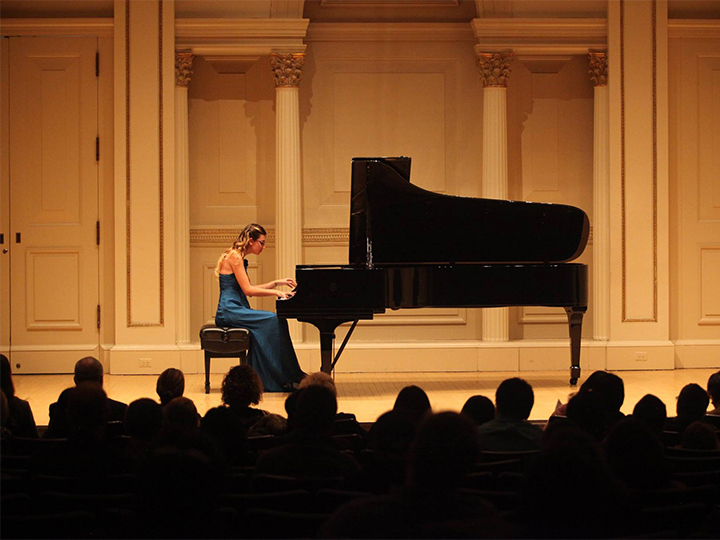 Over the past two years, three of Biola’s Conservatory of Music piano performance majors had the opportunity to perform at Carnegie Hall. Katherine Bode and Muli Yu, students of Li-Shan Hung, Professor of Piano and Piano Area Coordinator, performed together in 2017 after winning the American Protégé International Piano & Strings Competition. Bode also performed in the 2017 Winners’ Performance for American Fine Arts Foundation International Concerto Competition. 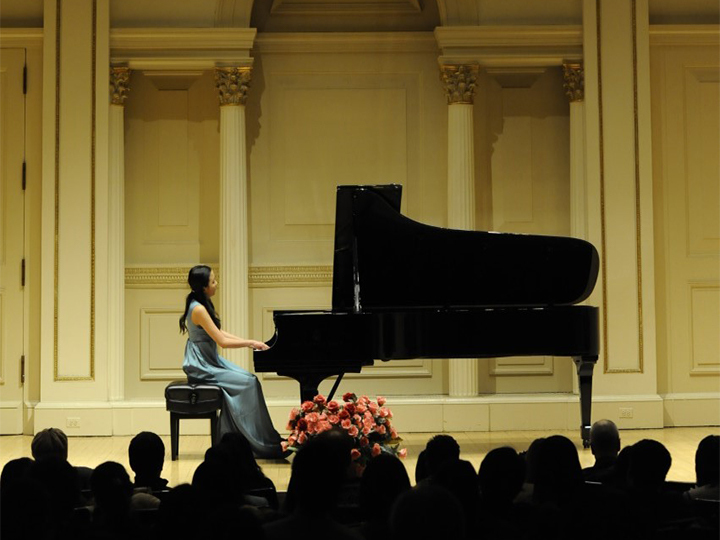 The following year Tianci Gu, a student of Manami Kawamura, Adjunct Professor of Piano, won this same competition and was awarded the prize of performing at Carnegie Hall in September 2018. Since coming to Biola, Bode, Gu and Yu have had numerous performance and competition opportunities both on and off campus. These events have pushed, shaped and challenged them to become even better musicians. 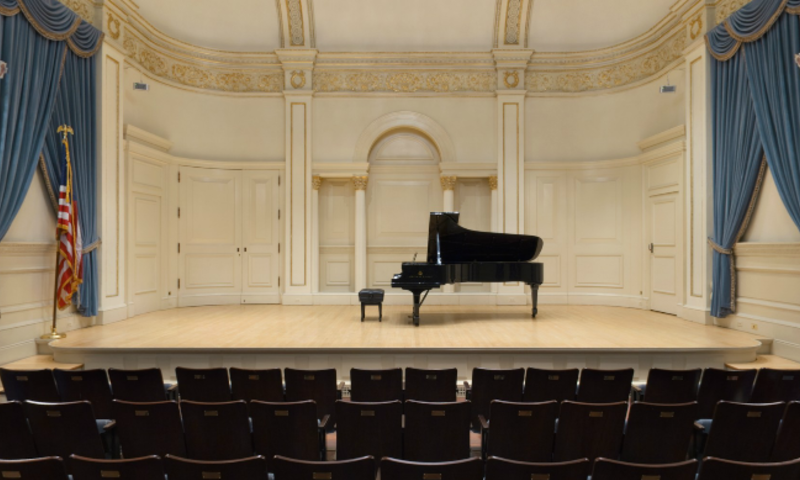 What do you believe Carnegie Hall represents? What about it makes it such a sacred and honored place for performers? Bode: I think the history of all the people who have had their careers really kick-started by premiering there, or just the different people who’ve played there...It’s also more accessible to non-musicians than other...places that we play. Gu: I’d heard of Carnegie Hall way before I ever considered thinking about playing there. It’s kind of like a milestone or an achievement to play there. Yu: I don’t think there are many performance halls like that in New York City… It’s also really pretty too and has really good acoustics! How do you feel your professors prepared you for this experience? Gu: The piece I played at Carnegie Hall I’ve been playing for couple months now, and I also performed that piece at my junior recital, at a summer festival recital, and a bunch of other master classes, so I thought I was fairly prepared. I felt like that I was getting better at playing the piece every time I played it...During my lesson I always found new things to work on which was really good … So it didn’t feel like I was beating a dead horse… I felt really prepared when I performed at Carnegie so I was not that nervous. I was just kinda like - let’s do this. It’s easy to look at an accomplishment and forget how much hard work came before it. What did your preparation for these competitions look like? Bode: I think it’s the same as your preparation for any other performance because, to me it’s really important when I’m performing to not be like, “Well, I’m performing for these people in a small audience so I don’t really care.” I try to put the same amount of work into each performance...I tried to just treat it like a student recital or just like playing at church or something like that. I was just trying to communicate as best as I could through the piece. How do you think the Lord is using you in the piano performance world? Bode: I think he’s using us the same that he uses anybody in any field. We’re just trying to live like people that point towards God. And also I think specifically when it comes to performance… our performances are less motivated by trying to get to the next level, or… reach some sort of standard. Obviously we’re still striving for… perfection. But it’s also motivated by a desire to communicate and a desire to reflect God and his creation through our playing. Yu: There are composers who kind of… have conversations with God through their compositions. I know Beethoven did some sonatas like that. And there are just so many. When you’re playing you can kind of feel connected to God through the music, and I think that’s really cool. So I feel like I want to be able to convey that connection through my performances too and hopefully impact people that way. 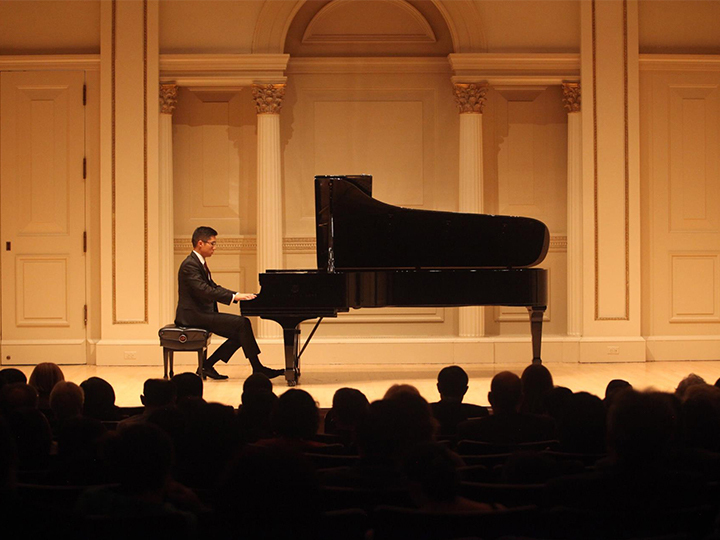 If and when you have another chance to perform in Carnegie Hall, what piece do you want to play? Bode: La Campanella by Liszt. It’s way out of my technique right now, but I think that would be a really cool piece to play in Carnegie! For more information about the piano department, please visit the Conservatory of Music website.